Air purifier can help people with sensitive lungs to dust, smoke and airborne allergens. Vaporizers are cheaper and readily available over the counter. Nebulizer can be used for various conditions, including asthma. Portable vaporizers can be as effective as larger counterparts. Whether its due to pollution or a genetic condition, some people have to contend with lung problems that require precautions and some medical care to ensure that they don't become serious complications. It is due to this need for proper respiratory care that some consumers go to suppliers like Big Chemist in order to obtain the type of equipment they need in order to take care of their specific problem. If you have a preexisting lung condition and don't know what sort of care equipment would be the best for you, then please continue reading so that you'll have a better idea of what can be used to make your life potentially easier in the future. For people suffering from lungs that are sensitive to dust, smoke or airborne allergens, then the New York Times states that an air purifier is definitely your best bet in preventing these problems from affecting you, at least within the comfort of your own home. These devices work exactly as their name states, they basically purify the surrounding air using an internal filter and release clean air back into the room. Given a few hours of operation, an air purifier can help to get rid of the contaminants within the air so that you can breathe a lot more easily. The use of vaporizers, as stated by IntegrativeOncology-Essentials.com, has become increasingly popular over the past few years as they have become cheaper and more readily available to the general public. A vaporizer can be described as a device that releases a medical substance in the form of steam for inhalation. The contents of this medical vapor can range from ordinary menthol based inhalants meant to help ease a person's cough to medication that is meant to be inhaled in order to treat a preexisting lung condition. These are often used in cases where saturation in a person's lungs are necessary as seen in cases where allergens have entered into the walls of your lungs and direct treatment is needed. Somewhat similar to vaporizers, Asth.ma explains that a nebulizer produces a very misty spray of liquid that is meant to be inhaled by a person. It is primarily used for medical purposes and can often be seen in use by people that are suffering from asthma. The main difference between a nebulizer and a vaporizer is that a vaporizer requires the liquid to be heated first before it turns into a vapor that can be inhaled while a nebulizer turns a liquid contained with a bottle immediately into a fine spray. 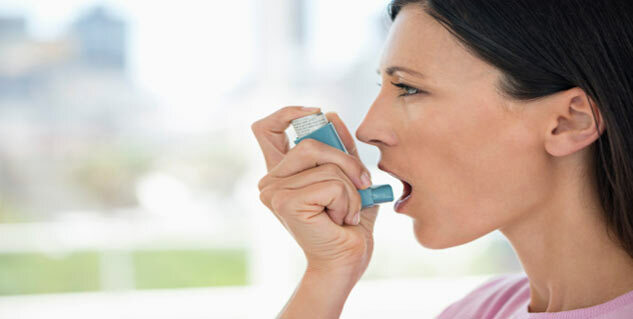 Nebulizers are meant to make the process of helping people deal with cases like asthma a lot easier and can come in a variety of forms ranging from small portable devices to large home nebulizers. Compared to their bulky home use counterparts, portable air purifiers are unfortunately not as strong and are fairly limited in their capability to adequately filter out the air in even a small room. However, despite their lack of purifying strength, the fact that they are portable goes a long way towards increasing their value. You can bring them around with you and you can place them beside your bed so that there will at least be an area where there is some clean air nearby. Do note though that portable air purifiers have a greater tendency to need their filters replaced as compared to their larger counterparts. It is based on this that if given the option, you should always get a large home air purifier rather than a small portable one. Also, do note that a portable air purifier is virtually useless outdoors since it cannot hope to contend with the sheer amount of different substances that can be found in the air outside. Similar to their home use counterparts, portable vaporizers have gained considerable popularity as of late since they can be placed within a car or office desk for easy access whenever you feel that your sickness is beginning to act up again. Despite their small size, portable vaporizers are just as effective as their larger counterparts since they are meant to vaporize a small amount of liquid and have it inhaled. This is far different than the performance difference between a portable and home use air purifier where a comparison between the two on the basis of performance is simply not feasible since the larger unit always blows the small one away. The products listed here are only some of the devices you can use to help protect your sensitive lungs. Do note though that if you experience complications at home, you should always visit a doctor first before attempting any form of "home care" remedy. Lastly, always research your current condition; the more information you have, the better prepared you can be.